Avoiding sun UV radiation should be your main concern after laser hair removal treatments. The UV radiation can cause some side effects which may be very un pleasant and some may be even permanent. One of the best ways to avoid such side effects would be to stay clear from any UV rays weeks after your laser hair removal sessions. During your laser hair removal sessions you may have learned that the skin gets loads of light energy and hundreds of joules (light energy unit) per cm² of skin. The natural way the body has to defend itself from such an ‘overdose’ of light is by producing extra melanin inside the skin cells. Normally Melanin production will cause the skin to get darker. This is the natural process of tanning. But during laser hair removal sessions the amount of light is so high, melanin production some time gets tampered. There are two sun UV rays, to know and learn to protect your skin from. UVA are long rays which can penetrate clouds, glass, clothes and reach your skin even when you are in the shade. The UVA (long rays) have been found to be responsible for cancerous skin disorders. UVB are the short sun UV rays. These are the one which cause the outer layer of the skin to tan. If you have done your treatments at a beauty salon, they should have told you, to be away from the sun 72 hours before and after each treatment. If you have bought a home IPL or laser device for hair removal, than you should see the warnings and directions for proper use, and see they recommend not exposing the skin to sun UV rays prior or after each treatment. But how can you work and live without exposing the skin to sun light? Most people just try to apply SPF sun creams and think they are safe. But the truth is they are at higher risk for long lasting sun UV side effects on their skin. SPF creams do not block sun UVA rays.. So applying a layer of SPF cream with not protect the skin exposed from UVA radiation. Only full spectrum UVA & UVB creams can block both of them, and protect your skin. The second thing is that people apply SPF creams over facial skin, neck and arms, and rely that the rest of the skin is covered with clothes. The fact is that most clothes do not block UVA radiation! This means people are in the sun after laser hair removal with nearly zero protection from UV rays. There are special clothes which were designed to block UV rays. These are called UPF rating clothes. They have been originally designed in Australia about 10-20 years ago, when the huge hole in the ozone layer was causing skin cancer eruption in Australia. These clothes are manufactured to block up to 99% of incoming rays. There are UPF hats, and UPF clothes for women and UPF apparel for men. There are special UPF swimsuits for children and babies. In sunny countries more and more people wear these clothes on a daily base. The UPF ratings go from 15 up to 50. The 50+ UPF rating is the highest rating a fabric can get. This means 99% of the UV radiation is blocked by the fabric. It is recommended to wear UPF clothes all year round, especially in the summer and in sunny areas. It is very recommended to wear UPF clothes after laser hair removal sessions, when the skin has to well protected from UV radiation. Without such clothes the skin is exposed to UV radiation, this can cause skin discoloration side effects such as hyper-pigmentation (dark skin patches) or hypo-pigmentation (white patches). 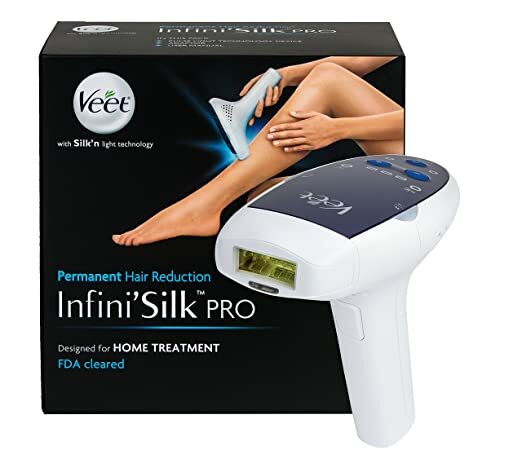 The Best (2013) Home Laser Hair Removal Products on The Market? This entry was posted in IPL Hair Removal, Laser Safety, Skin Discoloration and tagged Avoid UV Radiation After Laser Hair Removal, UVA & UVB And Laser Hair Removal by admin. Bookmark the permalink.